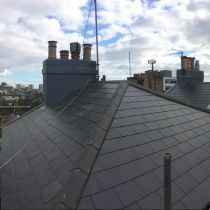 Our team aim to provide a friendly and experienced service, supplying and fitting an extensive variety of slates ranging from natural slate to any brand of artificial slate. 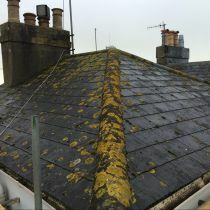 For this particular project we used an Eternit fibre cement based slate which was in keeping with what was initially in place and helped to keep costs down. 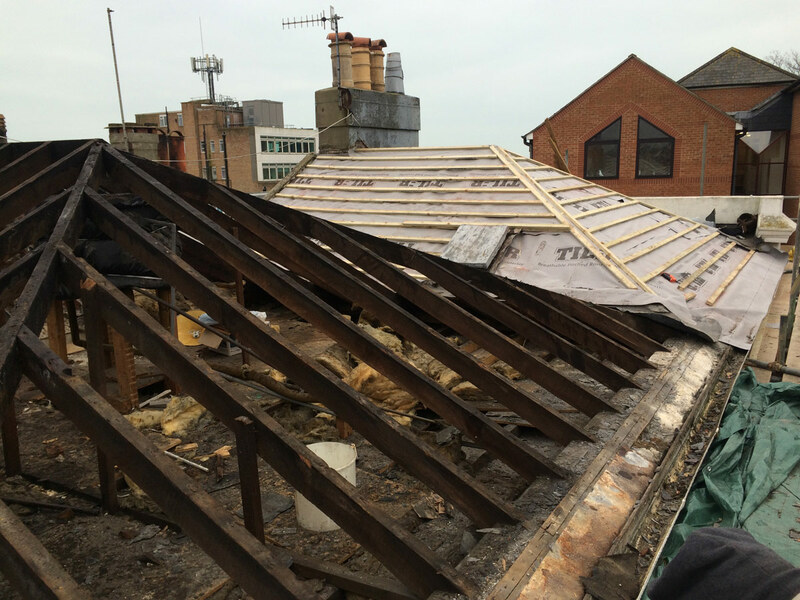 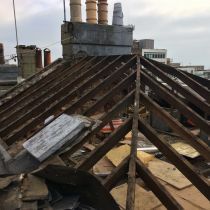 The remit was to strip back the existing roof to the rafters, treat all exposed timbers with a wood preserve and felt, baton and re-slate both pitched roofs. 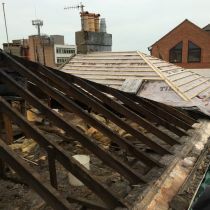 During the course of the project we noticed a lot of issues that were causing water ingress to the building. 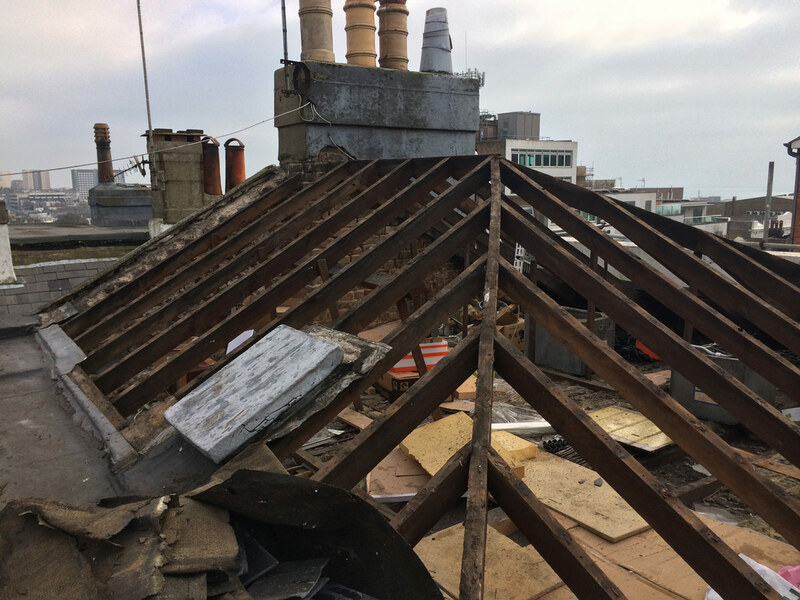 By stripping back to the rafters we were given a fresh blank canvas in which to install a watertight cost effective slate roof. 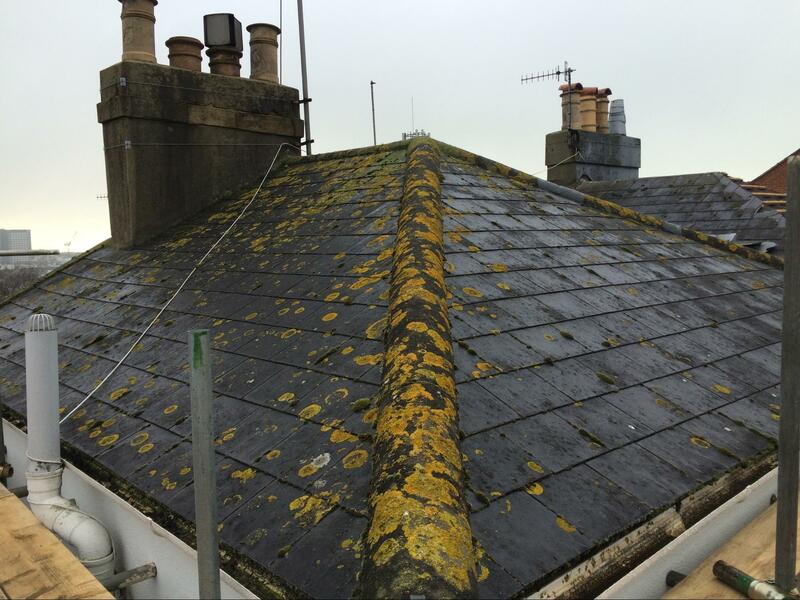 Should you be considering having a new slate roof or if you are in need of any slate roof repair please call for a free quote / estimate or alternatively, email us and we will be happy to help or advise in any way we can.